The Identical twins have shared everything from clothes to toys over the years, but never did the sisters think they would give birth on the same day – let alone at the exact same time. 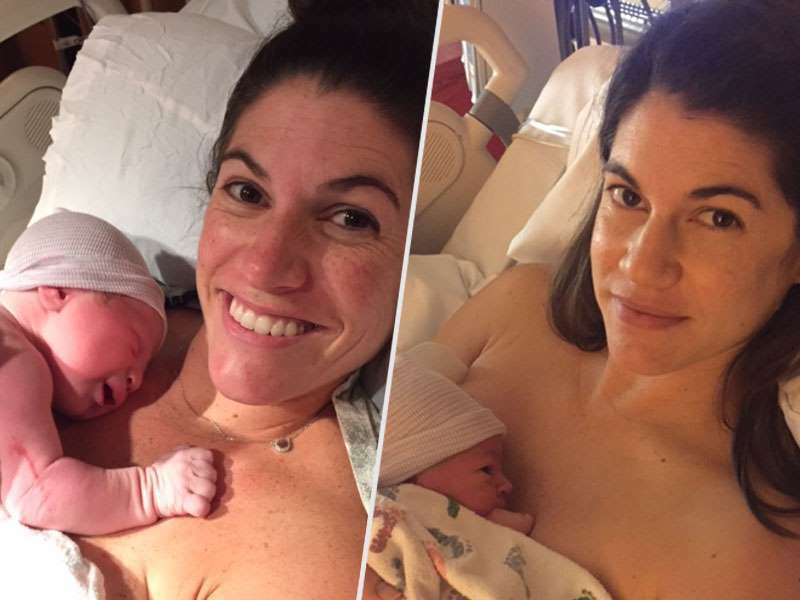 Sarah Mariuz and Leah Rodgers, the 35-year-old women both welcomed their firstborn children into the world on June 30 at 1:18 a.m. in their respective cities. Rodgers gave birth to Reid Joseph in Denver, Colorado, one hour before her sister’s baby, Samantha Lynne, was born in La Jolla, California. The sisters told each other they were pregnant at a Thanksgiving family get-together. The sisters also celebrated their pregnancy months together – giving each other daily text updates and phone calls – and even had a joint baby shower with pink and blue cakes. Rodgers says her family started a group text thread when the two women went into labor around the same time. “It’s just really special,” says Mariuz. Reid Joseph and Samantha Lynne haven’t met yet, but the sisters can’t wait to bring their kids together. “I’m sure they will have a deep bond because of their birthday timing,” says Mariuz.